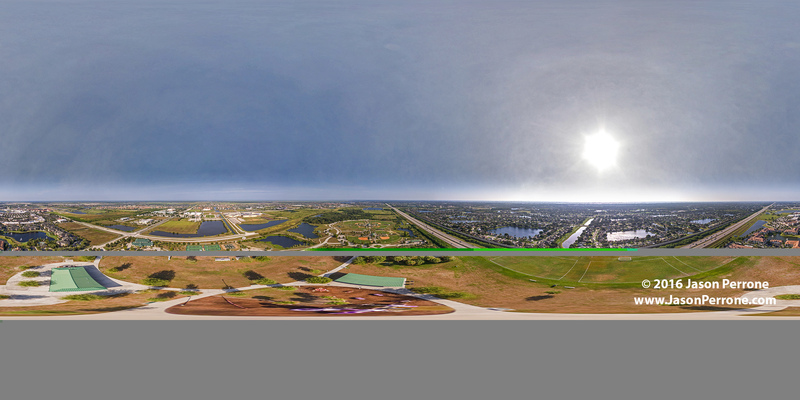 Aerial 360° panoramic images above Viera Regional Park in Viera, Florida captured with a DJI Phantom 3 Professional on a lazy Sunday morning. 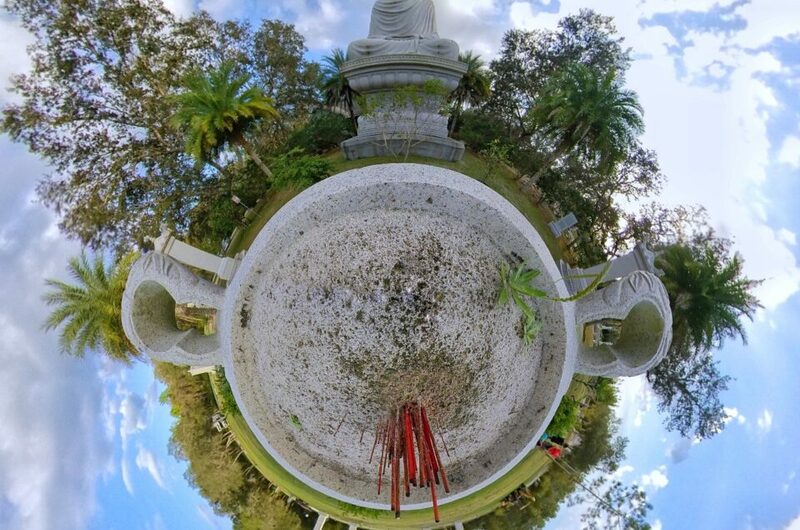 Flying the phantom 3 professional to an altitude of 350 feet above the park I captured 18 images to create the aerial 360° panorama. In one of the gallery images below you can view my first aerial vertorama. 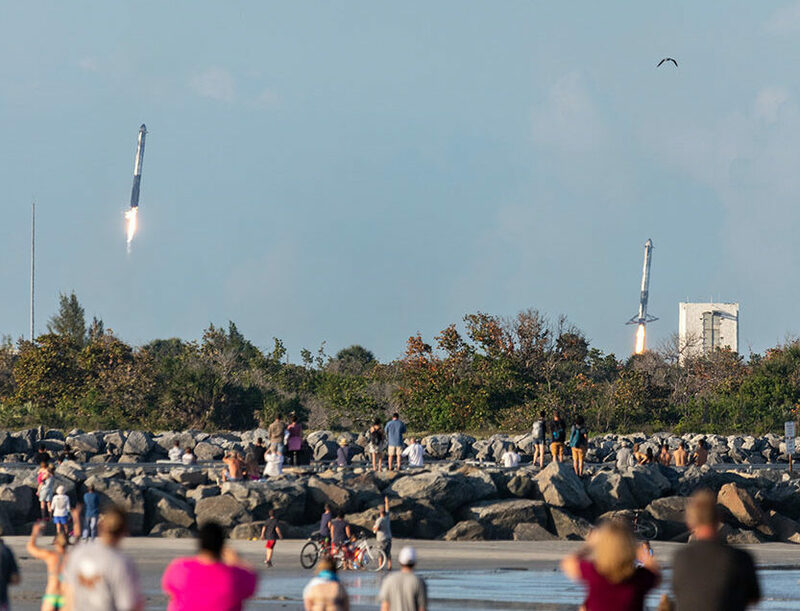 A vertorama is similar to a panorama except the images is vertical instead of horizontal. 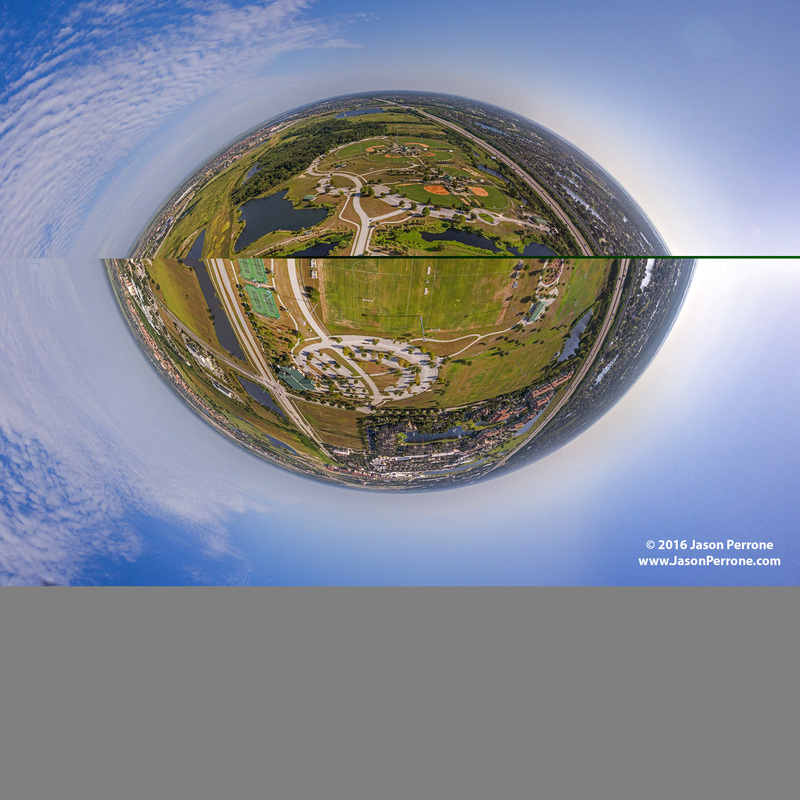 Both aerial 360° panoramas measure in at a whopping 121 megapixels creating a stunning ultra high resolution image. 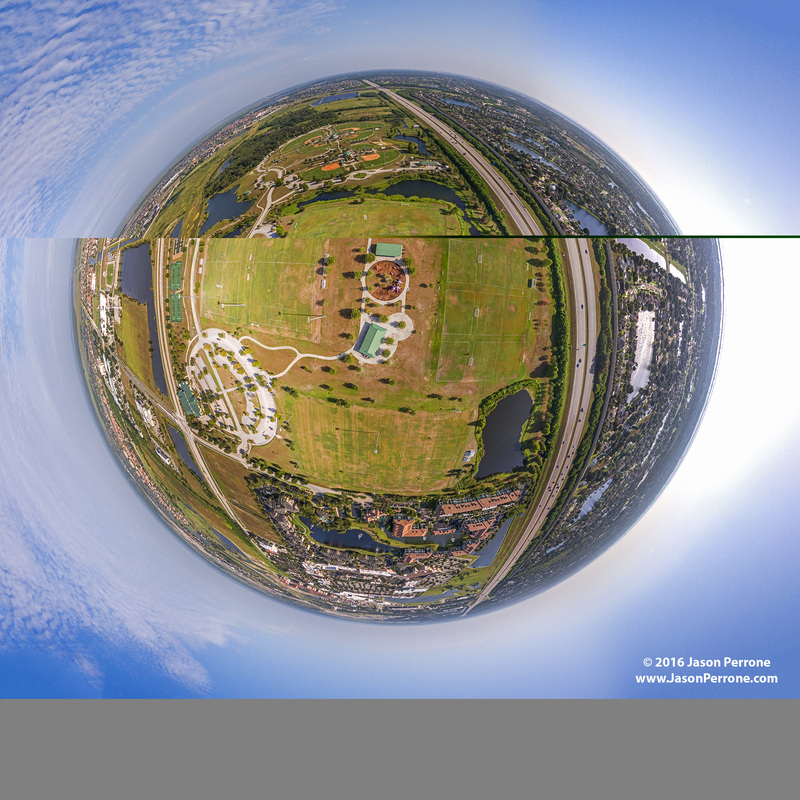 The little planet images in the gallery below at full resolution are about 242 megapixels or 15565 x 15565 pixels. 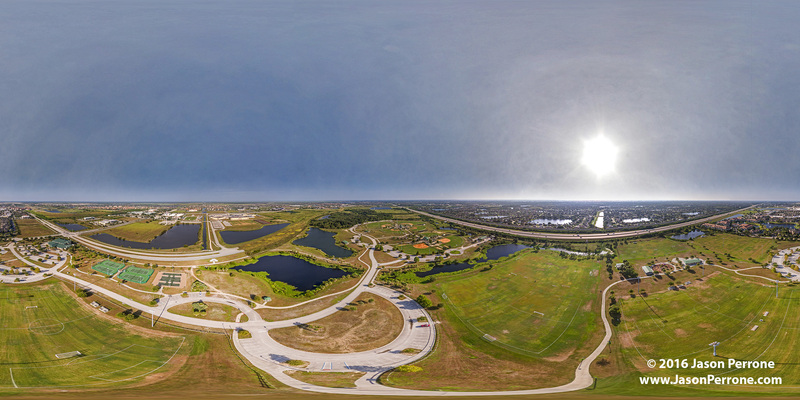 The Viera Regional Park is a 117.62-acre site that includes two lighted youth softball fields, two Major and two Senior Little League lighted baseball fields, an unlighted t-ball field, and two 2-story restroom / concession / meeting buildings. The 16 acres dedicated to youth soccer include two lighted stadium fields, restroom /concession / meeting building and parking. Other park facilities include two lighted outdoor basketball courts, two playground areas, four lighted tennis courts, family and group pavilions, sidewalks, maintenance facility, and an 18,000 sq. ft. Community Center with gymnasium, banquet kitchen, large meeting room with divider, 4 small meeting rooms, and two sets of restrooms (one with showers). A site centrally located in the park is dedicated to a garden managed by volunteers. 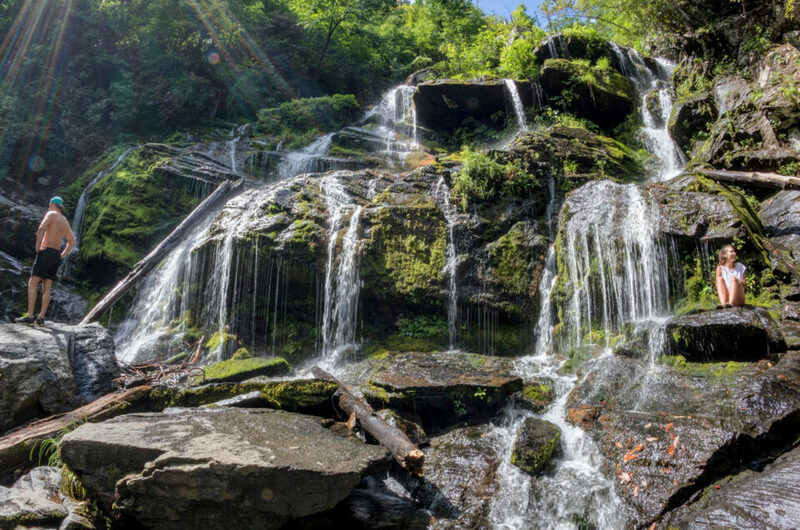 For more information about the park visit the official website.